God's Gang! is the name the children themselves chose for the children's church group that meets during the Sunday 10 o'clock service. 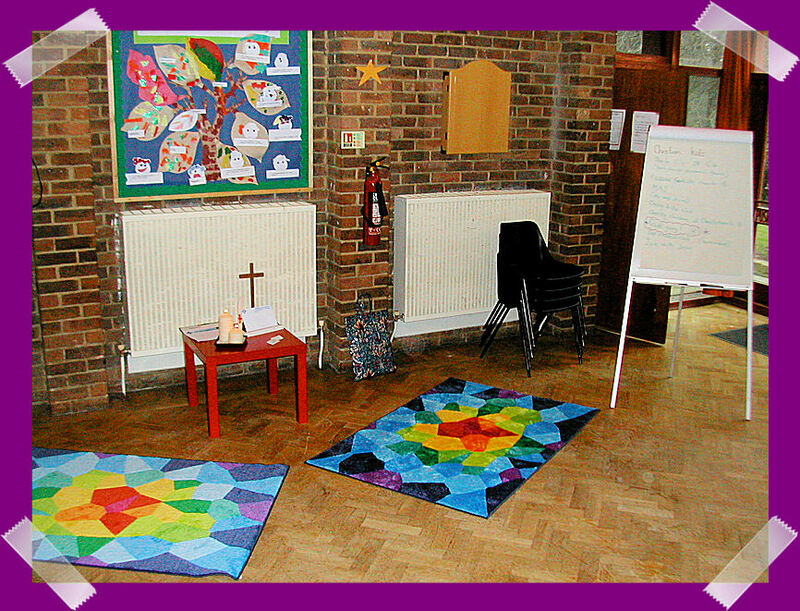 We have a special area we set up with a red table and display board and bright, colourful mats to sit on. Each week we split into 2 groups: younger and older, for games, craft activities, stories, songs and prayers all linked to the same readings that are used in church.Sometimes we take things back into church to share with the grown ups, sometimes we put them on the boards, sometimes we take them home.